One hundred and twenty six men representing twenty four countries, competing in the very exciting, very prestigious, world famous cycle race, The Tour de l'Avenir Stage 5 finished in Amboise today. The race started out in Brittany on 18th August before arriving among the vineyards and châteaux of the Loire Valley in Amboise in temperatures of 31 degrees. It will end in the Alps on the 27 August. The Tour consists of nine stages. Stage 4 was Saumur. Amboise was honoured to host Stage 5. When the race ends competitors will have ridden 744 miles. 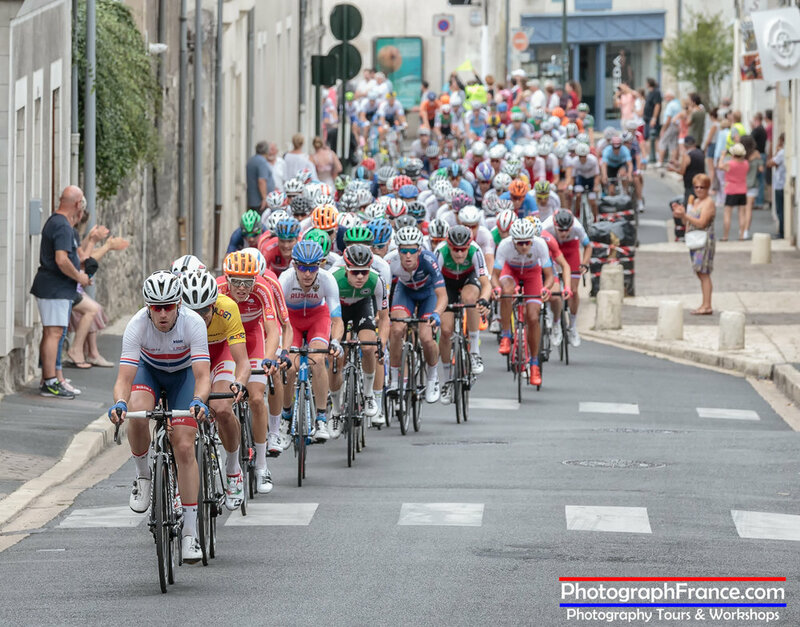 The Tour de l'Avenir , the little brother of The Le Tour de France , is a talent spotting event for cyclists under 23 years of age. It began in 1961 with Jacques Marchand, the editor-in-chief of L'EQUIPE to find the future stars of cycling. The magazine which was launched in 1900 is still going strong today. In 1981, the race was opened up to professionals. Since 1996, the Tour has adopted the Tour de France classification jerseys (yellow, green and white with red polka dots). The winner is awarded the famous yellow jersey. The Tour de France also came about because of a sports newspaper. L'Auto launched it as a publicity event because it needed to do something to compete with Le Vélo the largest daily sports newspaper in France. Many of these young heroes will go on to compete in the even more gruelling Tour de France. Some of the biggest names in the sport began by winning the Tour de l'Avenir.